The advantages of having a revocable living trust are numerous. Aside from being affordable compared to a probate process, it helps you plan for the future of your loved ones. Uncertainty can be a cog in the wheel of progress but a revocable living trust changes all that. Going this route alone is not impossible, but having someone with the technical know-how can save you a lot of valuable time and resources. With Rawa Law Group, an experienced revocable living trust attorney is within your grasp. Having been in the business of assisting clients with legal representation for several years, you can trust us to provide you with premium quality service every time. Having a trust keeps the affairs of your business private and this has monumental benefits – you would save a significant sum from by avoiding the court while avoiding strangers from having any form of control in your business. Setting up a trust in your name will require the expertise of a seasoned attorney to manage the entire process. Finding such a representative in Escondido demands you look at reputable law firms and few have the capacity which Rawa Law Group possesses. We have assisted many clients in Escondido, California manage their trust without any problems. 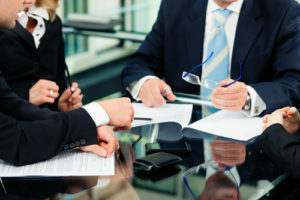 With knowledgeable attorneys in our employ, the gains of having us create your living trust are abundant. If you’re interested in having a living trust for your business and your family, Rawa Law Group is the firm to consult. Participate in our free consultation session today and decide if a revocable living trust is what you need.